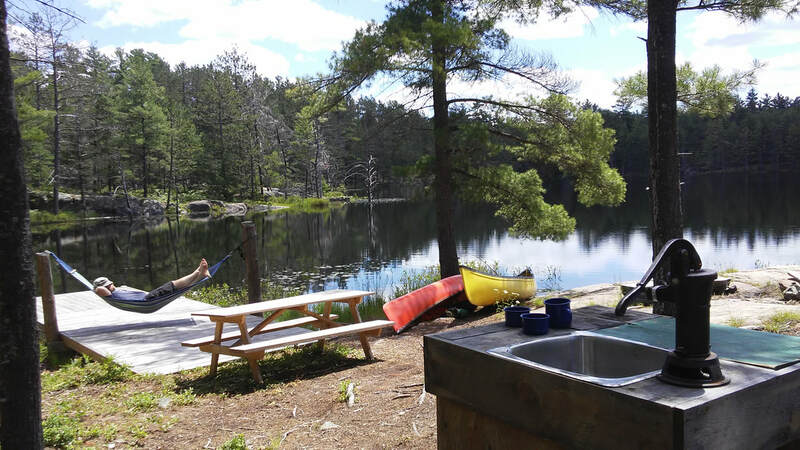 Private, secluded waterfront camping on a spring-fed lake. Our one party booking policy ensures your group will have exclusive use of our facilities. All your camping equipment and canoes are provided. Your friendly guides do all the heavy lifting. Camp is set up before you arrive. We take the work out of the wilderness. Situated on the north shore of a spring-fed lake, nestled in an old-growth pine forest, our 50 acre wilderness retreat is a nature lover's paradise. You will have access to endless waterways to paddle and fish, as well as trails to hike, all from your private campsite. Please tell us how we can make your stay as enjoyable as possible.